We spent almost a month in Costa Brava recently, exploring all there was to offer in the last of the summer months of 2015. This was our third visit to this region, but we still found loads to do, from discovering Dali, through to exploring medieval villages, hiking up to castles and wandering on the beaches. Not to mention eating tremendous piles of excellent food. As part of our trip, we investigated some ways to get active in Costa Brava, partly to work off those piles of food, but also because you might not realise that there’s a lot more to the Costa Brava region than just beaches. 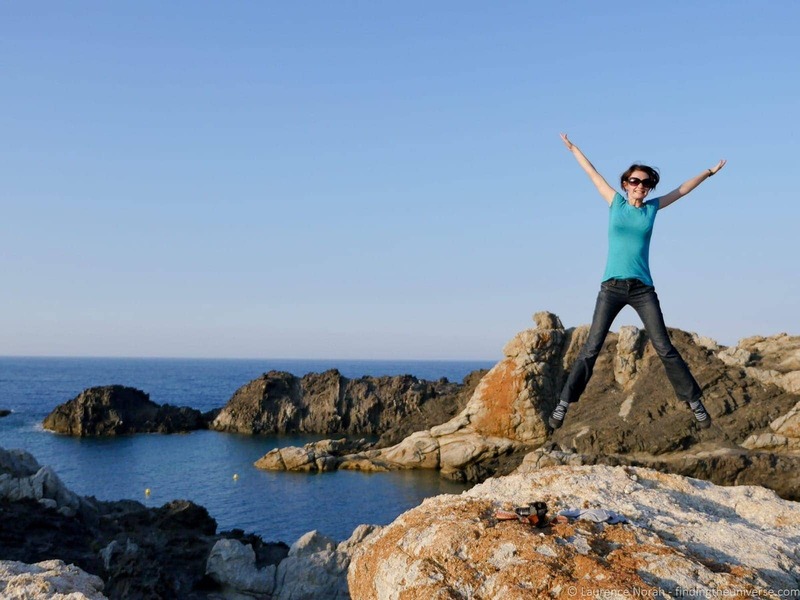 In no particular order, here are some wonderful ways to get active in Costa Brava! Ok, so I said this wasn’t in any order, but this is probably one of my favourite activities in this area. There’s just so much hiking to be done here! 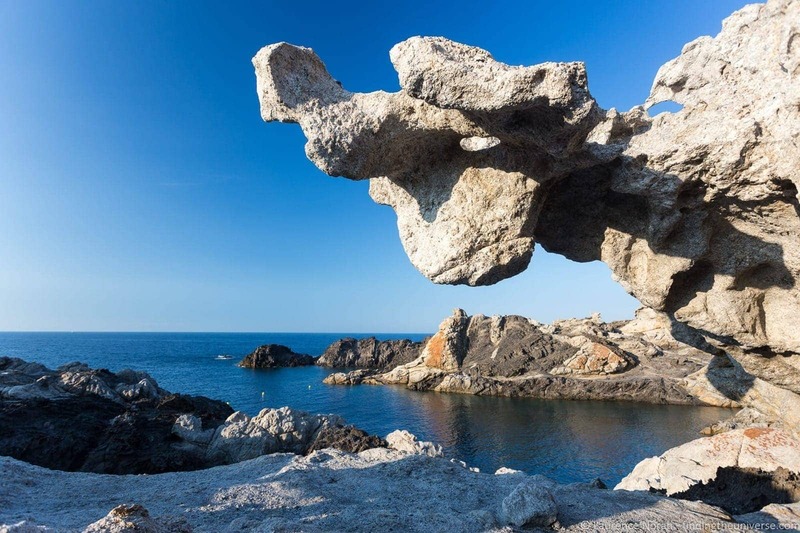 Excellent hiking options include the Cap de Creus National Park, for gorgeous coastal walks past surreal rock formations, and of course, the mighty Pyrenees mountain range, which offer countless hiking trails of varying levels of difficulty. If you love hiking, you’re going to plenty to keep you occupied! There are hiking trails throughout the Costa Brava area and if you plan you hike you may want to get a copy of The Costa Brava Way which is a great guide to hiking in this area. 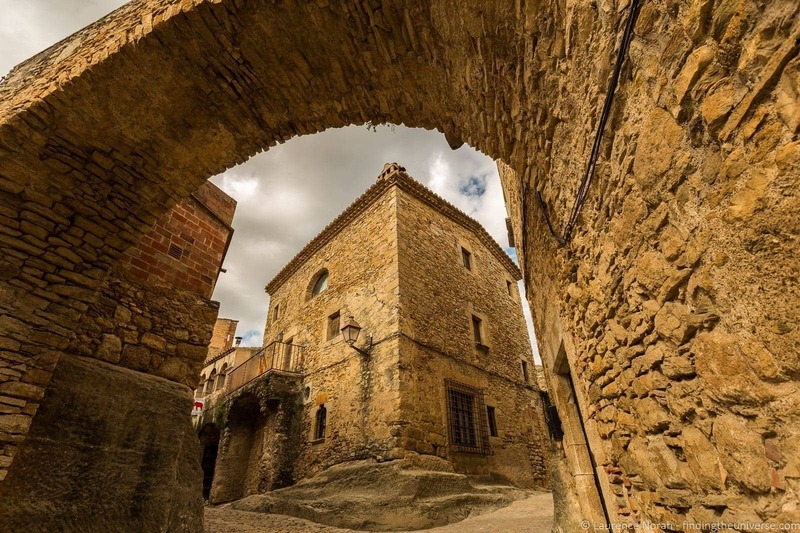 Cycling is an incredibly popular activity in Costa Brava, with everything from flat routes on the plains of Emporda through to mountain biking routes in the Pyrenees that will challenge even the toughest cyclist. 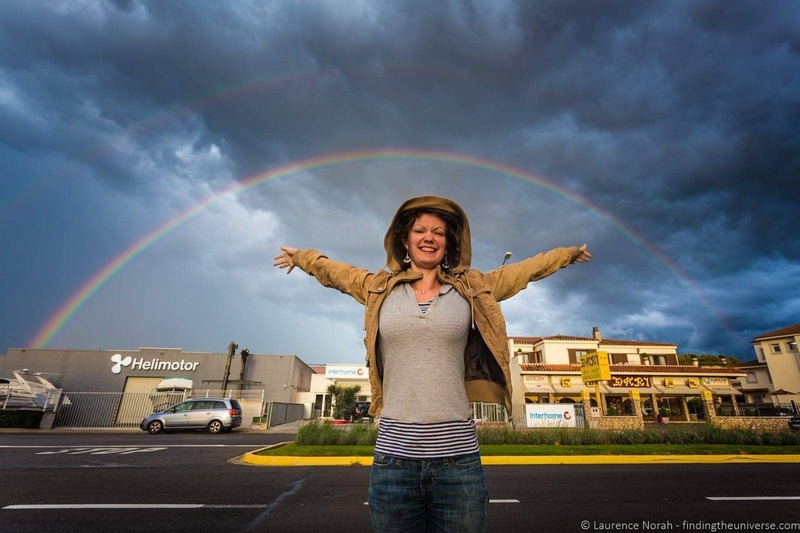 You can wend your way from winery to winery, or tour quaint little villages. On a previous visit to Costa Brava I did a fifty kilometre cycle tour over a couple of days, along some of the gorgeous Greenways. You can read all about that here. 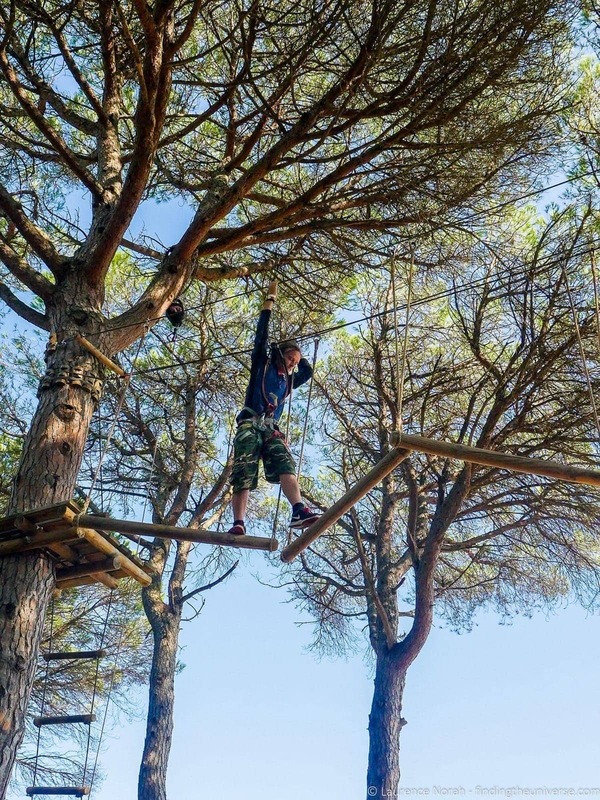 If you really want to challenge yourself and do something seriously adrenaline filled, then a visit to the Costa Brava Parc d’Aventura has to be on your list. This was a definite highlight of our trip to Costa Brava. The Adventure Park consists of a series of activities, strung high above the trees, which you have to navigate from one end to the other. It takes a bit of a head for heights, although the earlier courses start fairly close to the ground to get you acclimated before moving higher and higher (up to ten metres up!). I freely admit that I’m not great with heights, but I had a lot of fun challenging myself to see how far I could go, trying to navigate myself across swinging log bridges, tight rope walks and zip lines. It’s all very safe of course – they use a really clever smart carabiner system which means you can’t disconnect yourself from the safety system until you get to the end of the course, even by accident. My favourite part was the zip lining – there’s just something fun about dangling from a wire and sailing through the trees! It’s a very family friendly activity, with small (and low!) courses and a play area available for kids. The courses are all self guided, and the price varies depending on how many of the circuits you want to do. Find out more about pricing, opening hours and safety on their official website. I’m not going to lie, I didn’t actually go swimming in the Costa Brava. Having grown up in the Seychelles, I’m a bit of a wuss when it comes to swimming anywhere where the water temperature is less than around 25 degrees C.
Still, that’s not to say swimming isn’t an option – there are hundreds of beaches to choose from, and even in September when we visited, there were plenty of people taking advantage of the sunny days and clear waters to enjoy a swim in the ocean. We did splash around a bit in the water though, and enjoyed lots of beach walks. Which are also an option if you find the water too cool for your taste. If getting in the sea doesn’t appeal, how about floating on top of it? 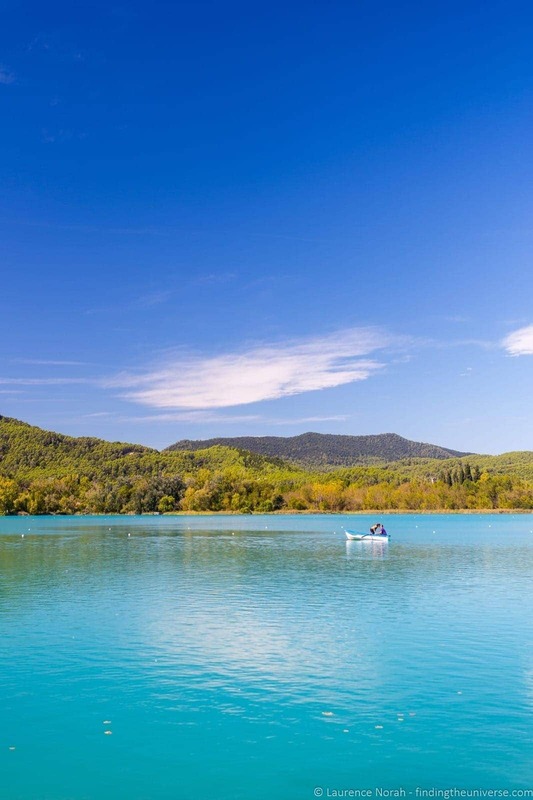 There are plenty of options for getting active in a boat in the Costa Brava region, from sailing through to boat tours through to just hiring a row boat and floating around somewhere like Lake Banyoles. On this trip, we took a boat tour from Roses to Cadaques with Don Pancho, who operate a variety of tours along the Costa Brava coastline. The three and a half hour trip we did included some time exploring the gorgeous seaside town of Cadaques (a must visit if you’re in the area! 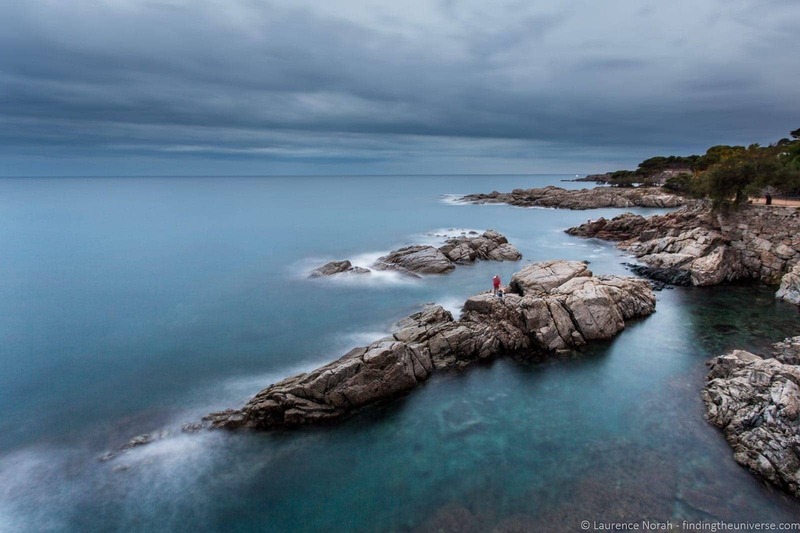 ), as well as plenty of time to take in the stunning Costa Brava coastline, dotted with picturesque towns as well as incredible sea cliffs and birdlife. Ok, so I’m not sure this really counts as exactly active, other than the fact you have to get up pretty early in order to do this. 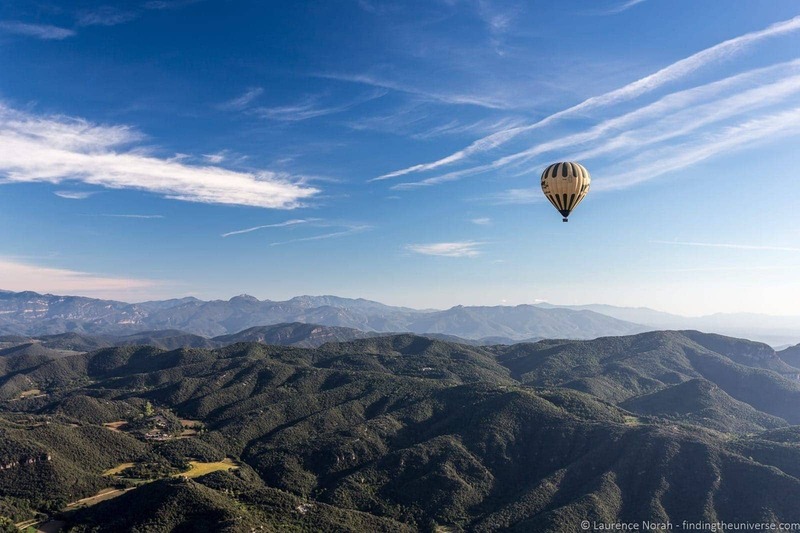 Otherwise, hot air ballooning mostly involves relaxing in a basket, drinking champagne, and enjoying the view. Sometimes the landing can be a bit bumpy, but on the whole, hot air ballooning is a fantastically calm experience, floating along suspended under a bubble of hot air. I’ve been ballooning twice in Costa Brava, once over the Emporda Plains, and once over the foothills of the Pyrenees, and had a magnificent time on both trips. Highly recommended. 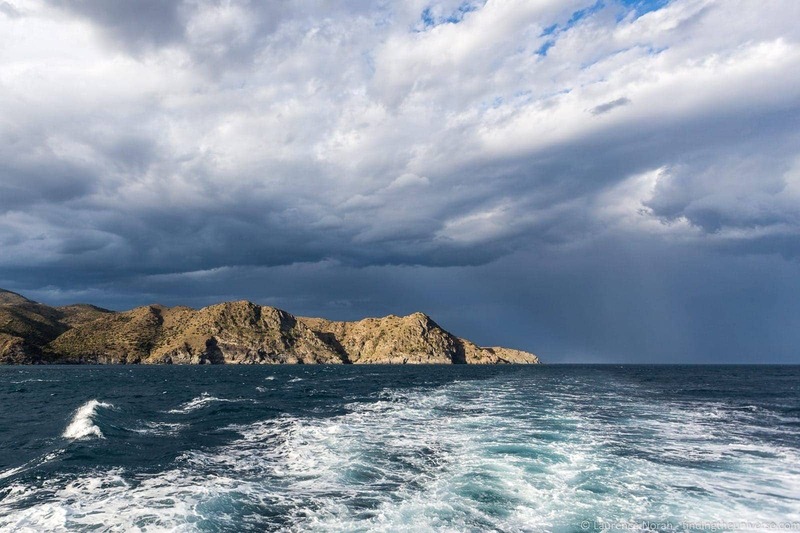 If you like fishing, then you’ll find plenty of opportunity to fulfill your passion in Costa Brava, from fishing off the beach through to deep sea fishing. Fishing has been a part of the way of life for the people in this region for hundreds – if not thousands – of years. 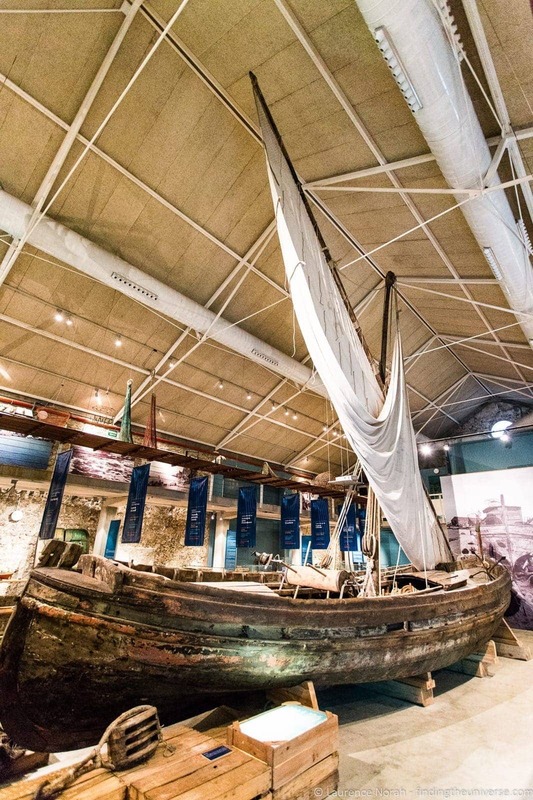 Even if you don’t want to physically get out there and catch a fish yourself, you can learn all about the history of the people and their relationship with the sea at the hugely informative and fun to visit Fishing Museum in Palamos. Here you’ll learn all about the art of fishing, how it has evolved over the years, all the different types of fish in the area, and of course, the future of fishing, as the world moves more towards trying to implement sustainable practices. A highlight of the visit to the museum is to see the live fish auction, which happens every day in the afternoon. Here you can see the process of fish buying in action, as the produce is offloaded from the boats and sold directly to merchants from all over the Costa Brava region, ready to be used in restaurants and markets. There’s also a fish market for the average person like you and me, where you can pick up some fantastically fresh fish and seafood at excellent prices! If you want more inspiration for your active holiday to the Costa Brava take a look at the official tourism portal for a full run down of the options available. 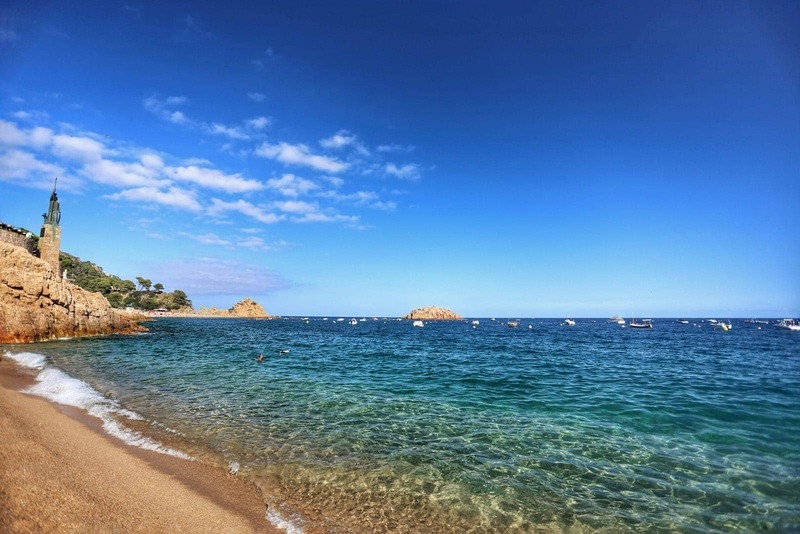 Located on the southern coast of northern Spain, bordering France, Costa Brava enjoys a lovely Mediterranean climate. It can be particularly hot in the summer months (although the sea is wonderful for cooling off!). 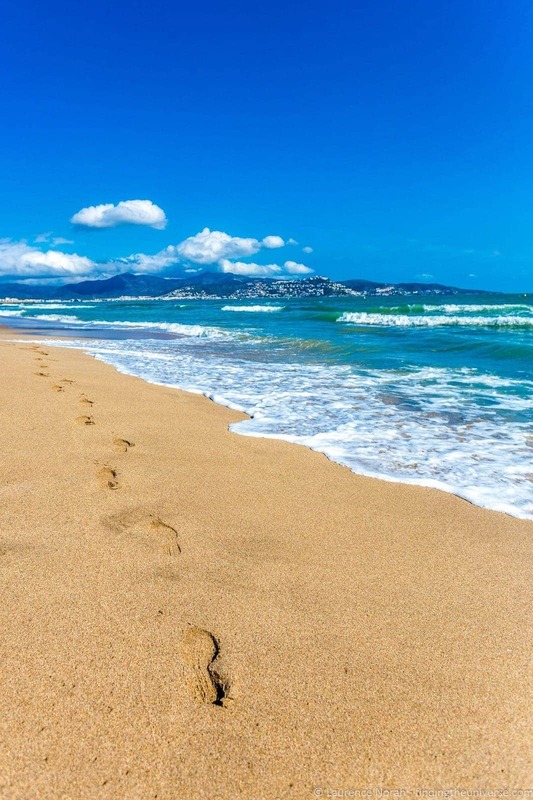 It’s also busiest in the summer months, as this is a popular destination for families looking for a beach getaway, so if you want to avoid the crowds, you would likely be better off visiting in May/June, or September, to get the best weather and slightly fewer people. We based ourselves in three different town during our month in Costa Brava, and in all three instances we stayed in an apartment as we find the flexibility they offer for our slow travelling style to work well for us. In Girona we stayed in a lovely two person apartment just five minutes walk from the medieval old town. This was a perfect base for exploring Girona, and all the surrounding attractions. Just one word of warning about staying in Girona – parking can be a bit of a hassle! There are free car parks, but they are usually full, so finding a spot can be a real challenge if you have a car. After Girona we headed to the resort town of Empuriabrava. This is a relatively newly developed town, so doesn’t have the cute appeal of towns like Tossa de Mar or Cadaques, but it is centrally located for exploring the region, and has a fantastic beach. If you’re into boating, then this is also the town to base yourself from, as it’s stuffed full of canals and has a giant marina for sea enthusiasts. We stayed in an apartment complex called Comte d’Empuries, which was a five minute walk from the beach. Finally, our last ten days were spent in the coastal town of L’Estartit, a little further south along the coast, and perfect for exploring the more southern parts of Costa Brava. 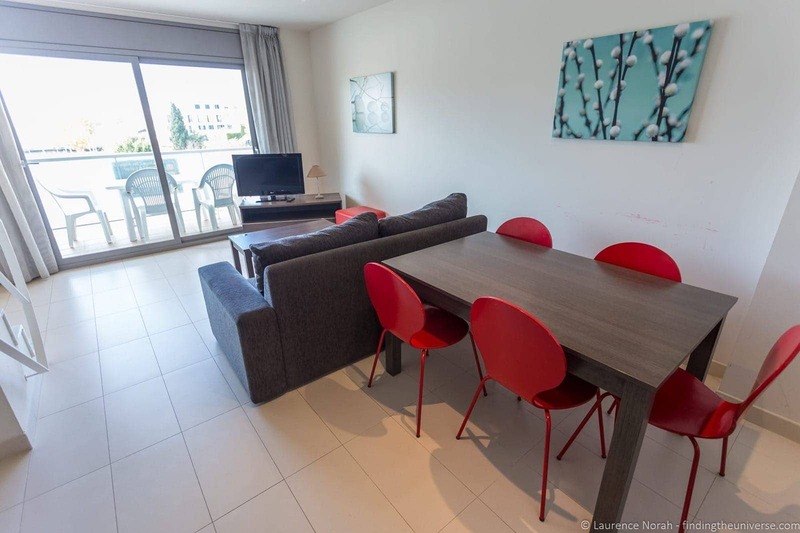 in L’Estartit we had a fabulous apartment (I might be biased because it had a dishwasher), thanks to Ceigrup Torrent Api, who offer a number of apartments in L’Escala, L’Estartit, Roses and Begur – all lovely towns to base yourself in. On previous trips to the region I’ve also stayed with Naturaki, who have a series of fantastic villas across the whole region, and if you’re travelling with a group of people these can be a really cost-effective way to stay in luxury! 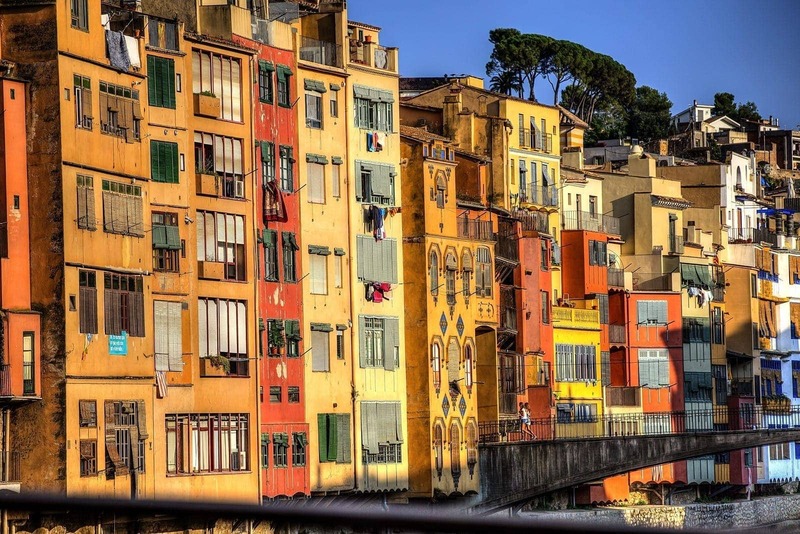 If you’re not looking for a villa or apartment, then there are plenty of guests houses and hotels available in Costa Brava region. Check these listings to get the best prices for your stay. Every time I’ve visited Costa Brava I’ve had a car. It’s by far the best way to get around – giving you so much more flexibility in terms of what you want to see and where you want to go. Whilst public transport does of course exist in the Costa Brava region, exploring all the nooks and crannies of the area, as well as finding the perfect hiking spot, is going to be a lot easier if you have your own transport. If you fly into Barcelona or Girona airports, then all the major hire car companies are available – our advice is to compare rates across all of them using Priceline, and find the best deal for your trip, based on your requirements. And that’s it for getting active in Costa Brava! 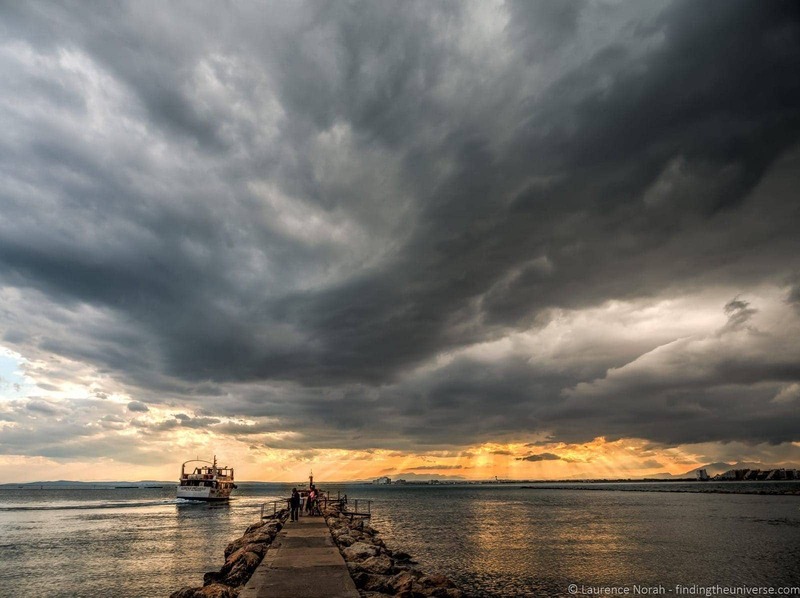 Have you visited this area, and done something adventurous? Tell us about it in the comments below! Our trip to the Costa Brava was in partnership with the Costa Brava tourism board, who covered our food budget, transport, accommodation and activities during our stay. All opinions remain our own – check out our code of ethics for more on who we choose to work with.